Ordine Minimo 100 pezzi a 8,90 Euro al pezzo. 200 pezzi - 7,90 Euro al pz. Take all - 6,90 Euro al pz. 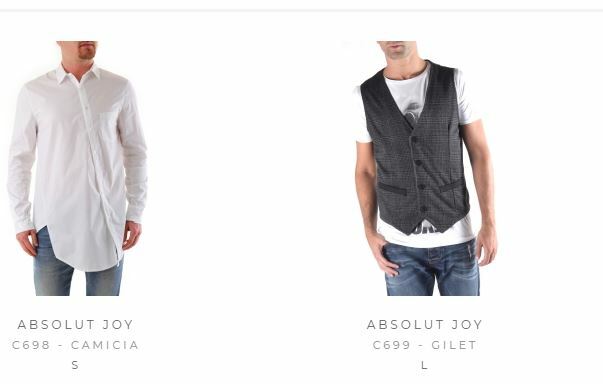 I brand presenti:Absolut Joy. 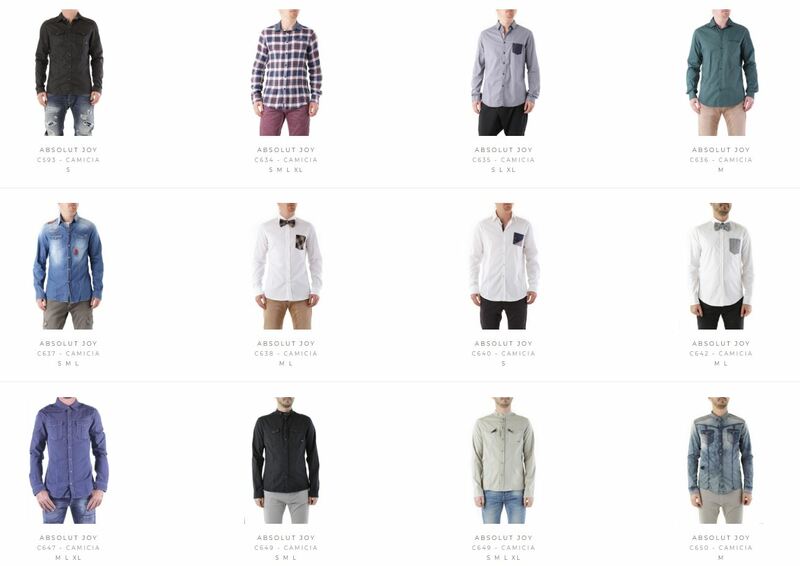 Stock Uomo Camicie Absolut Joy F/W. Lo stock è composto da vari colori, modelli e taglie. Tutti gli articoli sono made in Italy. 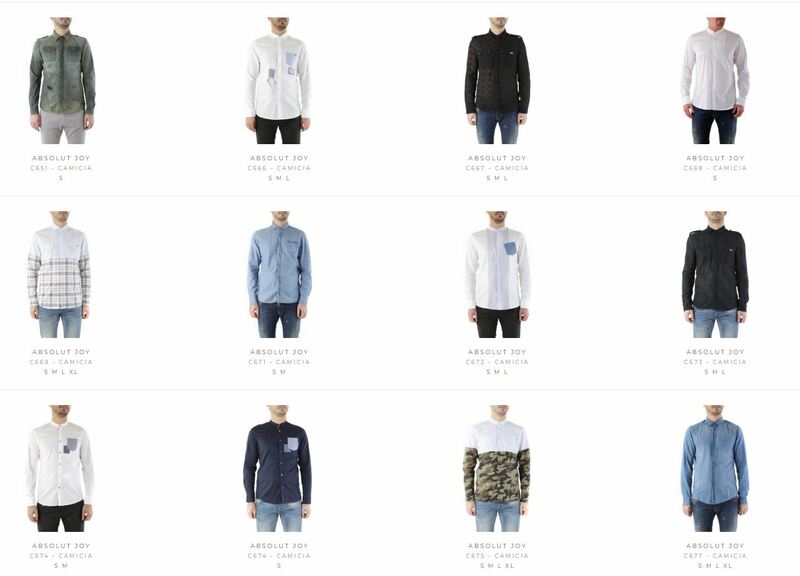 The minimum order consists of 100 items (8,90€ apiece). 200 items - 7,90€ apiece. Take all - 6,90€ apiece. Brands: Absolut Joy. Season: F/W. 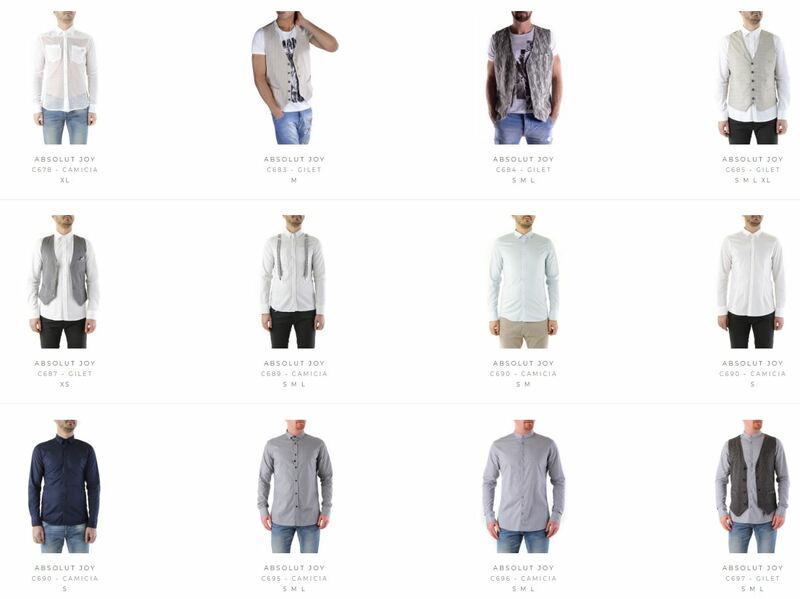 All items are made in Italy, assorted size. This stock of firmed clothes is composed of different models and colors, types and sizes the last ones can not be chosen by customer. EN: MADE IN ITALY: solid color, multipockets, front closure, zip closure, ripped effect, appliques.